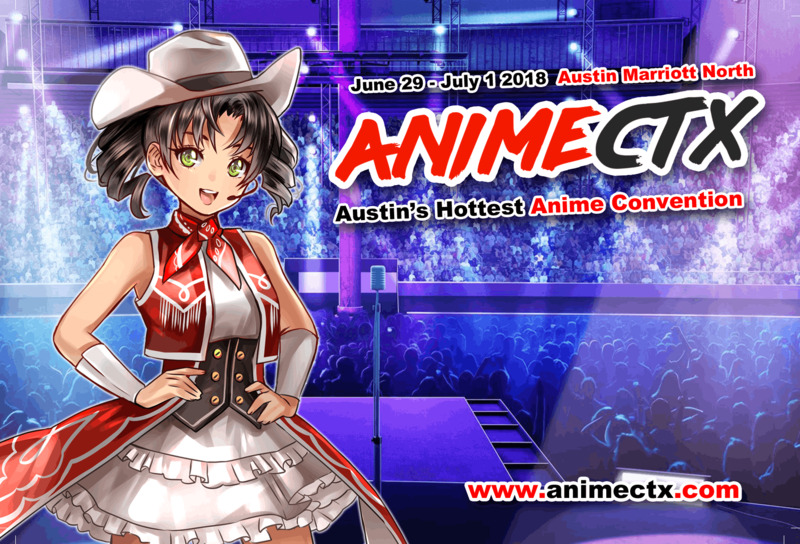 AnimeCTX is the new home for Japanese animation and pop-culture in Central Texas! Austin's hottest convention will re-imagine the way you and your friends experience them. Not only are we bringing all the greatest aspects Japanese culture that you love, but we’ll be introducing new and exciting programming too! With AnimeCTX the sky is the limit, and we invite you to be a part of it. AnimeCTX does not offer refunds for any memberships. If you cannot attend the convention after you’ve pre-registered, transferring your Membership is not allowed. Your purchase is a membership; it is up to you to obtain the badge and attend. Badges may be picked up at the Registration Desk. It will be necessary to have a valid photo ID. Bringing your eventbrite order confirmation sheet can quicken the badge pick-up process. Children's memberships are free for children aged 11 years and younger. These passes may be obtained in-person during the convention by a parent or guardian.